Southwest Eye Care and Laser is a state-of-the-art center for all laser vision correction procedures in the Bakersfield, California area. We use the safest, most advanced technology to perform the highest quality eye care available anywhere. Gregory A. Stainer, M.D., leads our highly acclaimed staff and also has set the standard of quality and innovation for laser vision correction. 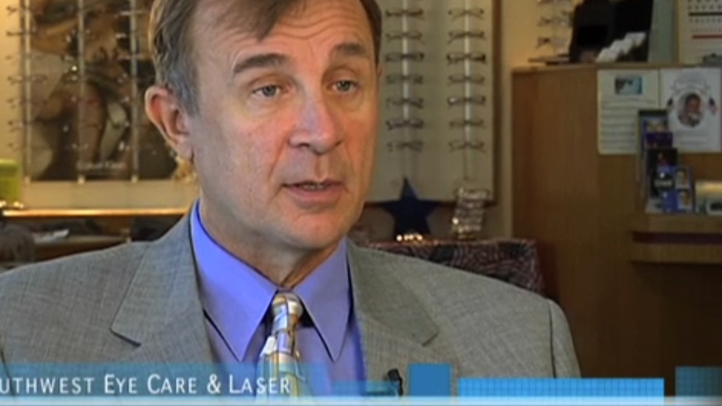 Dr. Stainer established the first LASIK clinic in Bakersfield and has continued to raise the bar ever since. He has written extensively on the subject of radial keratotomy and eye care, and works with a passionate team of staff members. This passion for ophthalmology and patient eye care is manifested in the success of our renowned work. Our laser vision correction practice in Bakersfield, CA is committed to the best patient care with the finest available technology. Patients of Southwest Eye Care and Laser find our staff friendly, helpful, and very knowledgeable. We have created a relaxed and comfortable setting for our patients so that they may enjoy their experience to the fullest. Your safety and the success of a procedure is our main concern, and we conduct a thorough evaluation of your ocular health to determine the best possible vision correction procedure for your needs. With every procedure, we strive to maximize your lifestyle through clearer vision, making every aspect of work, recreation, and day-to-day life more enjoyable and efficient. Southwest Eye Care and Laser offers many solutions to imperfect eyesight, from advanced LASIK and PRK procedures, to high quality implantable contact lenses and femto laser cataract surgery. Our laser vision correction center in Bakersfield, California is a comprehensive care center providing all patients with the highest quality products and services. We offer complimentary consultations to determine if you are a candidate for laser vision correction. This provides those interested in laser vision correction with an opportunity to learn more about the procedure firsthand and ask any questions of the doctor. Videos are also available for viewing. We can also mail informative brochures to you prior to your initial office consultation. We'll be happy to answer any questions you may have about laser vision correction or set up your complimentary consultation at our Bakersfield, California center.